Background: Cervical spine dysfunction is a common and broad condition represented by pain, limitation in the range of physiological movements, tenderness, and stiffness besides symptoms and information gathered from the patient history in decision-making, and the diagnostic and prognostic accuracy can be done using magnetic resonance imaging (MRI), computed tomography (CT) scan, myelogram, discography, single photon emission CT, and X-ray. 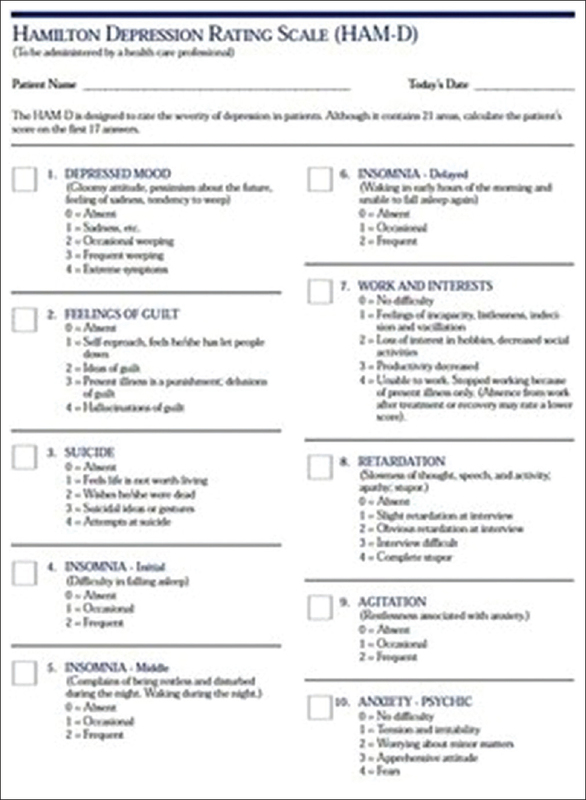 Aims and Objectives: The aim of the present study was to find the X-ray findings in cervical dysfunction and assess its psychometric properties through analyzing various articles. Methodology: Various articles from following databases such as Science Direct, Springer Link, EMBASE, PubMed, and Cochrane were gathered using terms such as “Cervical Dysfunction,” “Cervical Canal Diameter,” and “Radiological Findings.” A total of 12 articles based on the PICO format were included in the study, and based on their findings, a review was made. Discussion: MRI is the first line of choice to diagnose cervical disorders, but as we know, our India is developing country, so we need the cheap and easy diagnostic tool to assess. The reliability of the Torg ratio/Pavlov ratio, sagittal dimension of cervical canal, stress lines of the cervical spine, and cervical angle are different methods used to diagnose the cervical dysfunction using anteroposterior and lateral view of X-ray. Conclusion: Radiographic measurements can be used to evaluate cervical spondylosis and cervical stenosis but cannot evaluate neurological outcomes. Purpose of the Study: Neck pain (NP) is one of the most common musculoskeletal complaints, with 30%–50% of the population affected every year and two out of every three individuals experiencing NP in their lifetime. Stretching has been recommended as one of the treatment techniques for patients with NP. Strengthening and fitness exercises have shown to be effective at preventing NP and reducing its severity. Neck movement is dictated by the sternocleidomastoid, longus colli, and longus capitis for flexion, a concerted effort of the splenius capitis, semispinalis, suboccipital, and trapezius for extension, and the scalenes, sternocleidomastoid, and fibers from the trapezius to control lateral bending (Jenkins, 2002). Therefore, the study attempts to compare the effect of stretching and strengthening exercises on individuals with NP in asymptomatic adults in long-term duration. Materials and Methods: The study consisted of 40 male individuals of the age group 18–35 years, who are willing to participate in the study. These individuals were divided 20 in each group. Group A received stretching exercises and Group B received strengthening exercises for a period of 4 weeks. Pain was assessed at the end of every week for 4 weeks. Results: From the results, Group A shows more significant improvement than Group B. Conclusion: The results showed that both stretching exercises and strengthening exercises had significant effect on asymptomatic NP. A highly significant statistical difference was seen in week 4 of the study in favor of Group A. Group A dominated over Group B in all the weeks of the study thus showed that stretching exercises were more beneficial than strengthening exercise in relieving NP. Background: The causes of noncontact anterior cruciate ligament (ACL) injury pose a great mystery in the orthopedic field. About 100,000 ACL injuries are sustained annually in the United States of America, approximately 70% of the previously mentioned cases are of a noncontact origin.,, For such a common injury, it will be a great effort to search and address possible modifiable risk factors associated with noncontact ACL injury to establish a preventive measures that will decrease the incidence of it. Hypothesis: The anthropometric measurements are risk factors for noncontact ACL injury. Materials and Methods: This study was held in a retrospective fashion, the population will include patients from our institution with a sample size of 2000 cases that will be filtered according to the inclusion and exclusion criteria. Data analysis was performed by expertise. Data Collection: We used medical records of patient with noncontact ACL injury reconstruction for analysis and review. Data included anthropometric measurements (height, mass, gender, and age at the time of surgery). The targeted population for the study thus includes the following; patients who sustained ACL injuries. We obtained data from records of around 2000 patients with noncontact ACL injuries from 1996 to 2012, which were filtered according to inclusion and exclusions criteria. Inclusion criteria include (1) patients with noncontact ACL injury and (2) subjects with an age range from 25 to 55. Exclusion criteria are (1) traumatic ACL injury, (2) partial ACL injuries, (3) previous ACL reconstructions, (4) multiligamentous injuries, and (5) acute or previous hamstring injuries. Data Analysis: In our analysis, the sample size was 468 subjects, 212 among contacts (45.3%), and 256 among noncontact (54.7%) although we could have benefit from a large number of female subjects (male 98.9%, female 1.1%) to compare the results with male subjects, the current number that we have is proved to be a good predictive model. The mean age of subjects, 27.16 years for subjects with contact ACL injury, standard deviation (SD) = 6.330 and 28.00 years for subjects with noncontact ACL injury, SD = 6.873, and P = 0.172. Results: Incidence of ACL injury in obese and nonobese subjects: We define obesity in our study as subject with a body mass index (BMI) >30 is considered as an obese while a subject with a BMI <30 considered as nonobese, the results has showed that subjects who sustained contact ACL injury and obese = 27%, subjects with contact ACL injury and nonobese = 73.2%. While subjects with noncontact ACL injury and obese = 27%; nonobese = 73%. Noncontact ACL versus contact ACL injury in terms of anthropometric measurements: The anthropometric measurements that we study are height, weight, BMI. There was no main significant difference of anthropometric measurement on contact and noncontact ACL injuries groups. We have found that the mean of the weight of contact ACL injury group = 79.64 ± 15.6 and in noncontact ACL injury group was found to be 80.314 ± 16.4 with a P = 0.664. The other variable is height: in contact ACL injury group, the mean was 170.406, and in noncontact ACL injury group, it was 170.509, with P = 0.884. The last variable is BMI with mean 27.377 ± 5.05 among contact ACL injury, while 27.56 ± 5.21 among noncontact ACL injury group. Conclusion: In this study, we addressed the relationship between anthropometric measurement and noncontact ACL injury in middle-aged patient. Our results show that BMI, weight, height are not significantly considered as risk factor for noncontact ACL injury. There was no comparison in men and women. 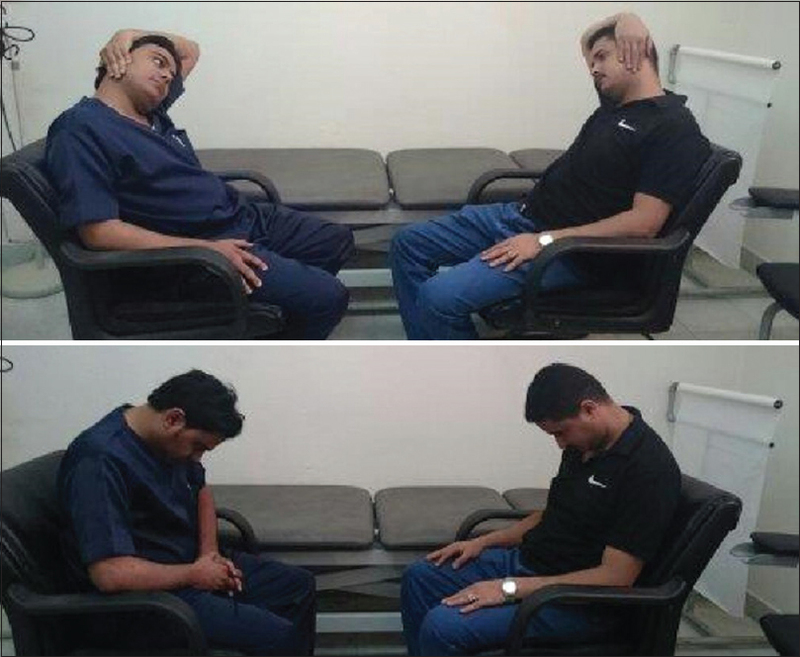 Background: The upper crossed syndrome (UCS) is the one where participants present with rounded shoulders and a poked chin posture due to muscular imbalance that affects head position, spine, and shoulder girdle. The presence of this syndrome leads to secondary health problems such as myofascial trigger points, cervicogenic headache, impingement syndromes, neck pain, rotator cuff injury, and reduced lung capacity. Objective: The objective of this study is to find the impact of UCS on respiration among the recreational male players. Methodology: Sixty recreational male players were recruited in two stratified age groups, 21–30 years (Group A) and 31–40 years (Group B), and were recruited for this cross-sectional study. Among them, 30 were healthy male recreational male players while thirty recreational male players with UCS. The lung function in both the groups was compared with the two stratified age groups and analyzed. 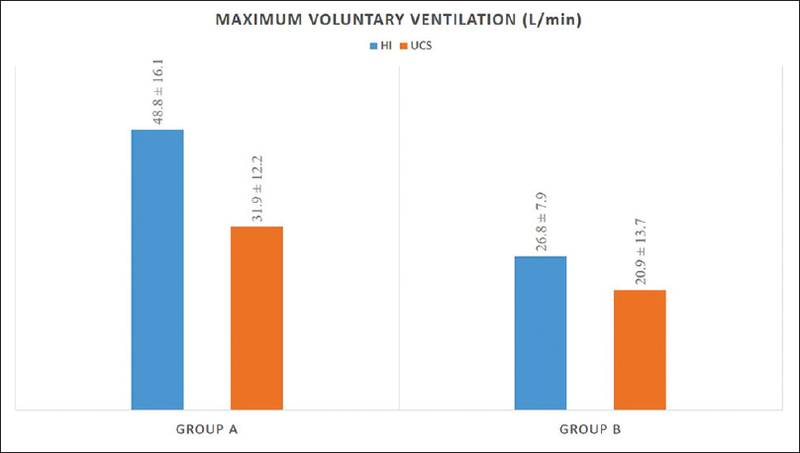 Results: Recreational male players with UCS in both the stratified age groups, 21–30 years and 30–40 years, have reduced maximum voluntary ventilation when compared to their healthy counterparts. Conclusion: Recreational male players with UCS have lower pulmonary performance when compared with their age-matched normal individuals. Background: Iliotibial band friction syndrome (ITBFS) is commonly seen in sport players overloading knee joint in adolescents as knee is engaged in almost all sports activities. Basketball involves activities such as running and jumping where there are repetitive knee flexion and extension, iliotibial band repetitively shifts forward and backward which causes friction and inflammation of the iliotibial band. Aim and Objectives: The aim of this study is to study risk factors and impairment in ITBFS among basketball players. Methodology: Out of 60, 12 basketball players were medically diagnosed with ITBFS within age group of 12–23 years, including both males and females who practiced at least 30 min a day without any recent surgery or fracture of lower limb. The consent form was taken, and the procedure was explained. Each player was subjected to therapist administered questionnaire with details of risk factors namely; age, gender, body mass index, hours and years of practice, training sessions followed by special test for knee related to iliotibial band syndrome. The lower extremity functional scale (LEFS) was filled to assess the level of difficulty in activities due to knee pain. Results: In this study, ITBFS in basketball players was 16.66% with LEFS score of mean 62 indicating mild to moderate disability. Conclusion: Training errors such as irregular stretching, warm up and cool down, change in intensity of training, running on concrete surface are some of the risk factors of ITBFS. Mild to moderate disability was found on LEFS due to ITBFS. Background: Back pain resulting from degenerative disease of the spine is one of the most common causes of disability in working age adults. Clinical symptomatology of these patients varies widely with imaging findings. 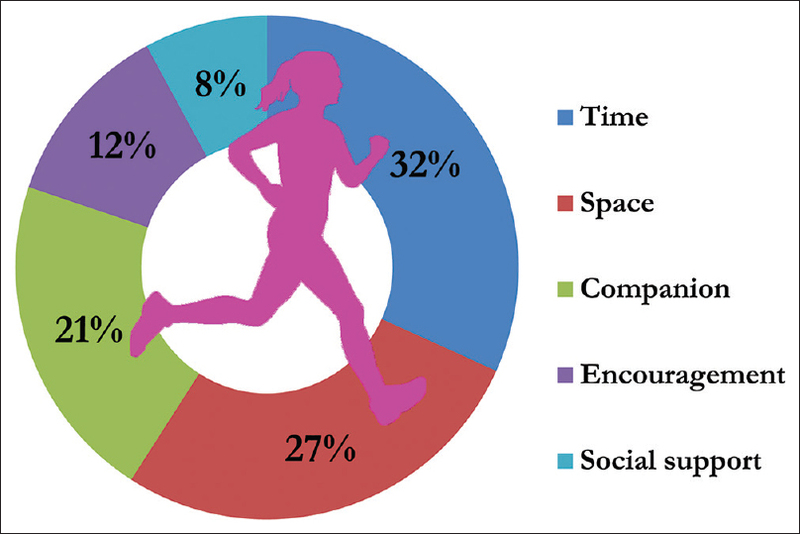 Materials and Methods: This study was conducted in Burdwan Medical College and Hospital. Study Population: Inclusion criteria: (a) Patient age ≥35 years (b) Clinically suffering from degenerative lumbar spine disease (c) Imaging evidence were included in the study. Exclusion criteria: (a) Traumatic lumbar spine, metastatic disease, previous neurovascular pathology, or associated lower limb fractures were excluded from the study. Sample Size: Two hundred patients were included in the study. Study Design: This was an institution-based cross-sectional study. Study Tools: All cases have undergone X-ray, but magnetic resonance imaging has been most effective. Data Analysis: For statistical analysis, we have calculated Chi-square statistic value and P value. Results: In this study, single disc involvement (49.4%) and multiple disc involvement (50.6%) pattern was equally prevalent. For single level disc changes, disc bulge was the most common pathology in our study (75%) followed by disc protrusion (25%). Among the patients with severe degree of nerve compression, 72.9% of patients had claudication. In our study, 81% of patients with anteroposterior (AP) canal diameter <8 mm had distal extremity radiculopathy. In our study, among spinal canal stenosis patients, association of AP canal diameter with motor weakness is found to be statistically significant (P = 0.0229). 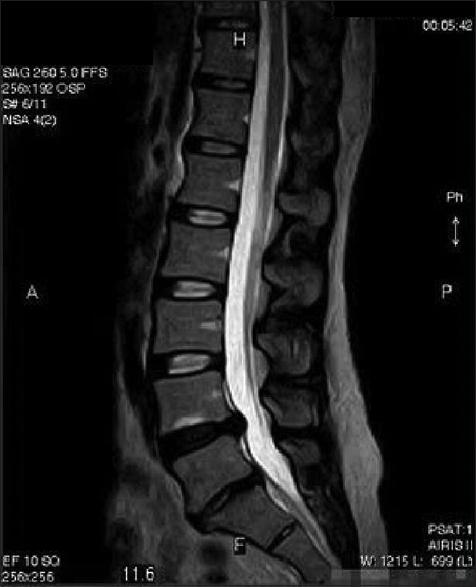 In patients of degenerative spondylolisthesis (DSL), occurrence of axial back pain and extremity pain as per clinical and radiographic degenerative spondylolisthesis classification (P = 0.0129) correlated well. Conclusion: There has been positive correlation between clinical and imaging finding for severe degree of disc degeneration and spinal canal stenosis but variable for DSL. 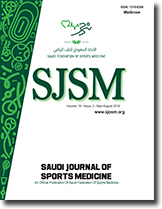 Purpose: The current study aimed to investigate the effectiveness of different stretching techniques (static and dynamic) on kinematic and physical performance variables in female volleyball players of Punjab. Materials and Methods: Thirty-six state-level female volleyball players were divided using random lottery method into three groups: static stretching (n = 12), dynamic stretching (n = 12), and control group (n = 12). Static stretching and dynamic stretching groups performed different stretching techniques, and control group performed no exercises. Testing of kinematic and physical performance variables was done before and after stretching and control sessions. Duration of stretching and control session was 7 min each for all three groups. Result: Average relative power and balance were significantly improved with both stretching techniques. On comparing the three groups post hoc analysis, average relative power, static balance, and sprint time found to be significantly improved (P < 0.05) in dynamic stretching group, whereas static stretching group showed increase in sprint time (P < 0.05). Further, in post hoc analysis, no other measured kinematic and physical performance variables showed significant difference in the three groups. Conclusion: Dynamic stretching may be preferable to static stretching as part of a warm-up designed to prepare for physical activity. Background: Even though, it is said that adhesive capsulitis is a self-limiting condition, many subjects remain with long-term sequelae. Codman's paradox is commonly used in manipulation under anesthesia technique for adhesive capsulitis of shoulder, which composes of a specific pattern of motion at the shoulder joint leading to an indirect humeral rotation without placing a rotational torque on the humerus. In this case study, Codman's paradox movement was modified and performed within pain tolerable range and without anesthesia in a subject with adhesive capsulitis. 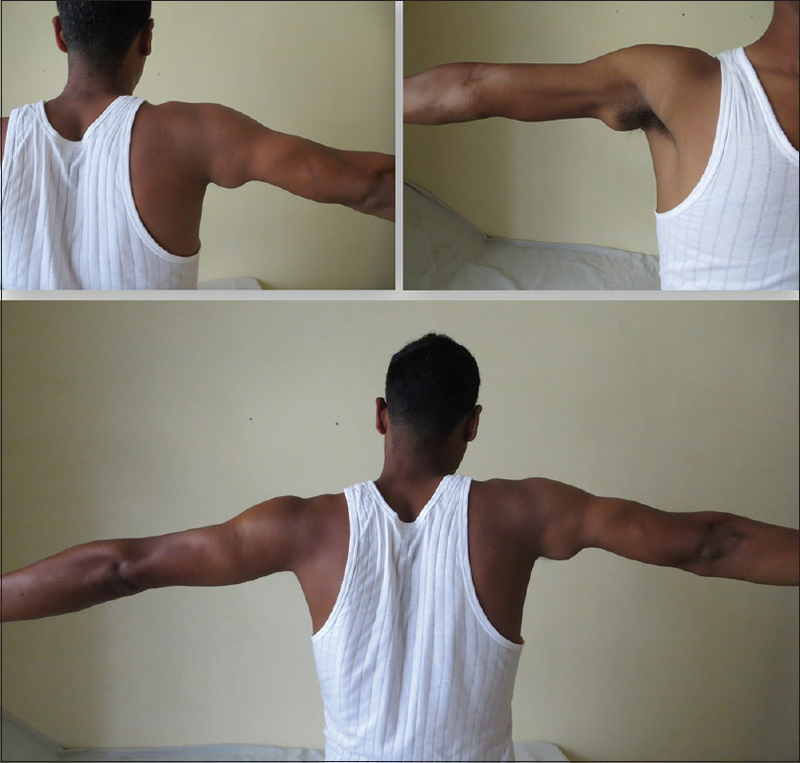 Aim and Objective: This case study analyses the effect of modified Codman's paradox movement in a 50-year-old male diagnosed with symptoms of adhesive capsulitis for more than 6 months. Materials and Methods: A single case study design was used. The study duration was 4 weeks. Baseline and posttest outcomes measures of shoulder range of motion (ROM) (flexion, extension, abduction, external rotation, and internal rotation) were measured using a universal goniometer and Shoulder Pain and Disability Index (SPADI) questionnaire. Results: Posttest measures of numerical pain rating scale, shoulder ROM and SPADI showed improvement, proving that modified Codman's paradox is effective in adhesive capsulitis. Conclusion: This study result concludes that modified Codman's paradox is effective in improving shoulder ROM among subjects with adhesive capsulitis.